Apple’s HomeKit platform has gained a great deal of traction and support during the Consumer Electronics Show 2016 in Las Vegas. We’ve already seen multiple reputed companies take the opportunity to announce their own HomeKit-enabled hardware for the connected smart home. First Alert – one of the bigger names in the production of smoke alarms – has now jumped on that bandwagon by stepping out of its comfort zone to introduce a HomeKit-enabled smart safe designed to work seamlessly with Apple’s home automation platform. 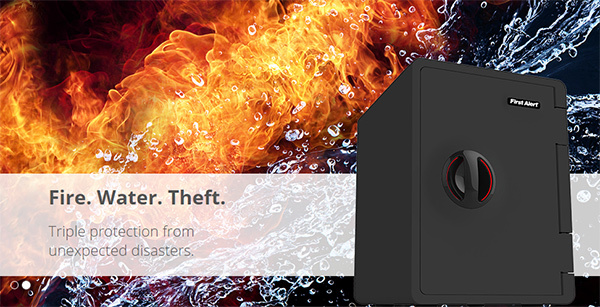 Called, the Onelink Wi-Fi Safe, it is meant for personal use within a home-based environment. At first glance it looks just like any other small safe that you may purchase to keep valuables in your home safe from prying eyes and wandering hands – which to be perfectly honest, it actually is since it has the same type of aesthetics and build quality as a standard safe. However it comes with the added value of having Wi-Fi and Bluetooth radios built directly into it. In addition to the Onelink Wi-Fi Safe coming with HomeKit smarts and connectivity options, it also packs an intelligently-placed accelerometer for movement detection. That built-in accelerometer has been provided to immediately detect any sudden of relevant movement of the safe itself. If triggered, a notification is instantly sent to the connected iPhone to immediately alert the owner of that movement. The owner of the safe can also instantly unlock the product remotely, either by using the iPhone app that will be made available upon the hardware’s launch, or by utilizing the services of Siri – Apple’s voice activated digital assistant. Notifications are also sent to the owner’s device whenever someone attempts to open the safe. 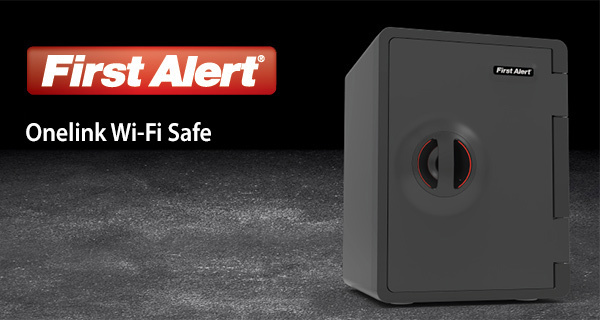 In addition to the Onelink Wi-Fi Safe, First Alert also announced a new Wi-Fi Environment Monitor which helps you keep a room’s temperature, humidity in check and will denote any increase of decrease from the preset levels via an LED strip that runs around the product. Additionally it will also check for Carbon Monoxide levels, and if it reaches a dangerous level, a loud siren will be triggered. 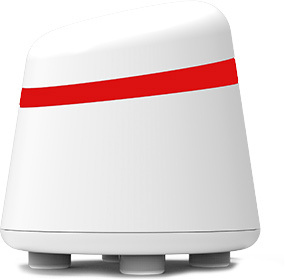 The device will also provide a user with alerts on a connected iPhone or iPad. Similarly, the Onelink Wi-Fi Thermostat has been introduced which joins an array of already available HomeKit-enabled smart thermostat systems out there. It’s likely that a great deal of people interested in the idea of a smart home will be massively intrigued by the concept which Onelink Wi-Fi Safe and Wi-Fi Environment Monitor brings to the table. Unfortunately for them, First Alert neglected to provide any additional details on pricing for the products or when it will be available to ship to consumers around the world. If announcements at CES 2016 are anything to go by then it’s likely we should see this by the end of this year’s Q1.